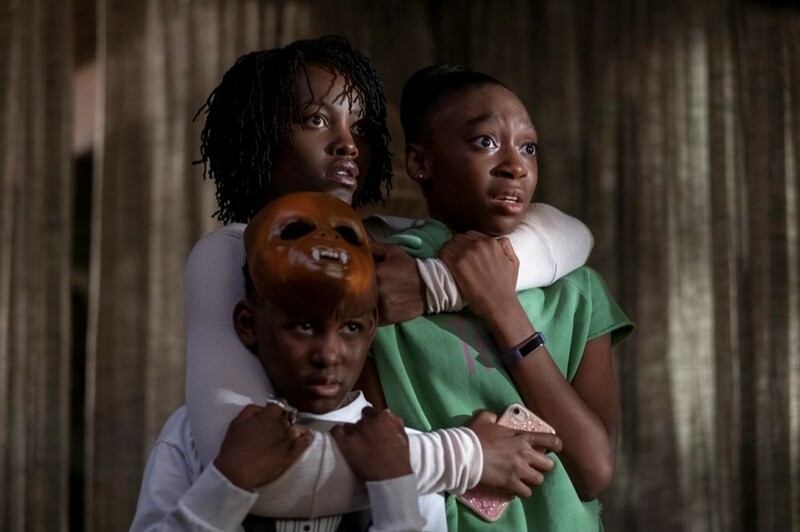 The trailer for Jordan Peele’s second feature film, Us, got fans very excited when it was released on Christmas Day 2018, and big reactions at the premiere earlier this month (March 8) only fuelled the fire. Now, in the film’s opening weekend, it’s becoming obvious that it’s all paid off (literally) for the Get Out director. Us has topped $70 million in its opening weekend, according to Deadline. This gives the film by Monkeypaw Productions – Peele’s own production company – the honour of the biggest opening for an original horror film, ever. Many will say that this achievement is well-deserved, and it’s pretty difficult to disagree. While Us hasn’t been as universally well-received as Get Out, with a 69% audience score on Rotten Tomatoes (as of today, March 24), the critical consensus puts it at an impressive 94%. As for what might have led to the record-breaking figures, the buzz that surrounded Get Out, Peele’s debut, no doubt plays a part. However the dark humour and chilling horror of Us definitely stands on its own two feet as well, as is made clear in the original trailer. Lupita Nyong’o’s performance stands out in particular, as the mother of the lead family, alongside Winston Duke. Conspiracy theories and ideas about the films underlying messages can’t have hurt, either, as social media has been abuzz with such debates (which you’ll likely want to avoid if you don’t want any spoilers, by the way, and there are some big ones).